Product prices and availability are accurate as of 2019-04-20 03:50:22 UTC and are subject to change. Any price and availability information displayed on http://www.amazon.com/ at the time of purchase will apply to the purchase of this product. When you are working in a garage, you are likely to touch different automotive fluids. The last thing you want are tools that will degrade on coming into contact with those fluids. This is a wonderful solution to an age old problem. 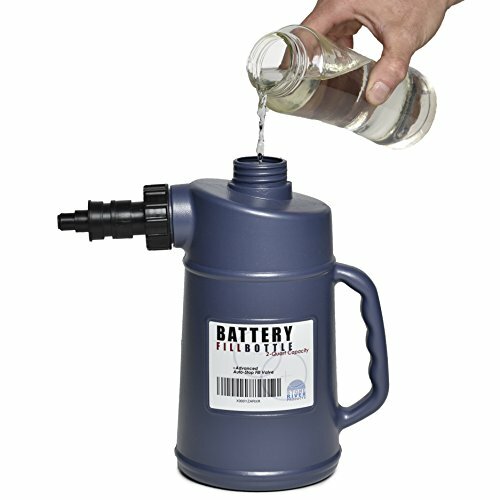 The Stone River Battery Filler bottle is an ideal water filler for use in such an environment. It is designed to be exceptionally resistant to automotive fluids that are likely to come into contact with it during the process of servicing batteries. The filler has a single opening like the LubriMatic filler that is used for adding battery water to it and for attaching the spout. Its spout or nozzle features the double action fast flow valve tip that prevents fluid from dripping after withdrawal from the cell vent. This 2-Quart battery water filler bottle uses auto-stop valve for mess-free battery maintenance without overfilling the cells. 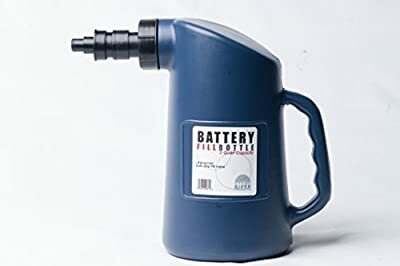 Great for car battery and multiple uses. 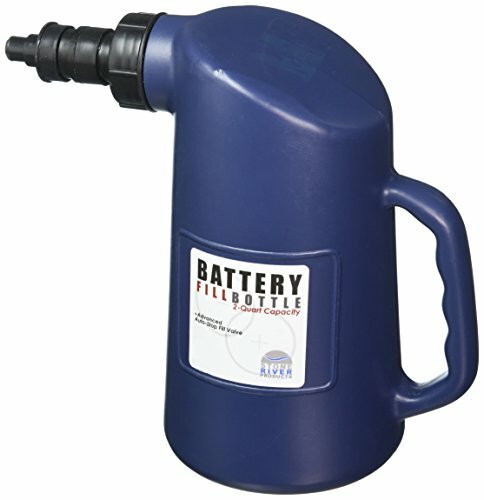 Filler Bottle is designed to be exceptionally resistant to automotive fluids employed in the processes of servicing batteries, master cylinders, etc. Battery Filler Possesses a 2 Quart Plastic Jug for Filling and Adding Water to Wet Batteries. 2-Quart Capacity - Automatic Nozzle - Just press into cell and flow begins for an easy and clean filling operation. Drip-free design eliminates mess found with standard funnels. Tough polyethelyne material ensures a lifetime of use. Great for a golf cart, deep cycle, automotive car battery, truck, marine, and equipment batteries! 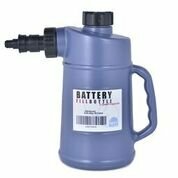 Safe for filling new dry batteries with acid, or maintaining units with distilled water.